Edgar Degas (French, 1834 – 1917) created this lovely portrait of ballet dancers in blue, circa 1899. It is held by the Pushkin Museum of Fine Art, Moscow, Russia. 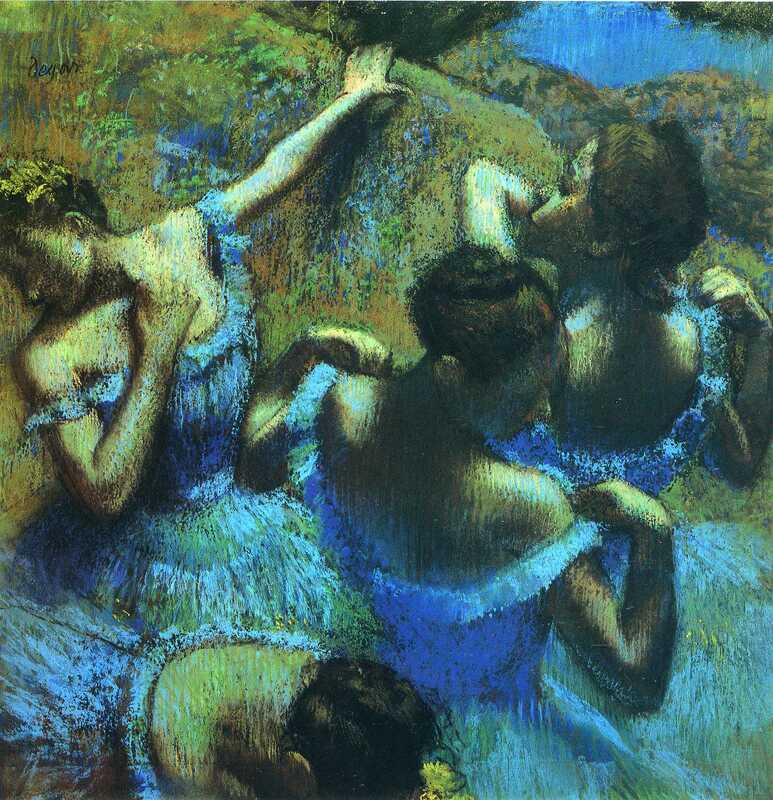 Posted in Artwork, Big Picture | tagged art, artwork, ballet, blue, dancers, Edgar Degas, fine art, girls, pastels, women. The permalink.